Benny Morris replies to Tyler’s response here. As the most prolific of the new historians of Israel, Benny Morris has made a significant contribution to the historiography of the Jewish state. His trenchant and unvarnished reconstructions of war and strategy, including Israeli expulsions and “brutal” [his word] assaults on Palestinians and on neighboring Arab populations, have helped to document the sobering cost of war and conflict in the Holy Land. Yet his unsentimental prose and dispassionate scholarship led to vicious and unprovoked assaults on his professionalism and his character. Some Israelis accused him of betraying the cause of Zionism and undermining the legitimacy of Israel. Thus it is disheartening and ironic that Mr. Morris would turn the same ideological invective, of which he was a victim and about which he so passionately complained, toward my book Fortress Israel, and toward me personally, a journalist and historian with no ideological profile or agenda and certainly no animus toward the State of Israel. No longer a detached scholar, Mr. Morris now aligns himself with the ideological right, enabling its hopes for Arab expulsion by justifying ethnic cleansing as a necessary instrument of history and by demonizing the Muslim world as a monolithic enemy out to annihilate the Jewish state. And in his lengthy review of my book, he has employed many of the propagandistic traits of distortion and untruth common to some of the movements in history that he professes to abhor. Fortress Israel is a political biography of Israel’s ruling class from David Ben-Gurion’s time to the present era of Benjamin Netanyahu. It is buttressed by nearly 1,000 notes to the text citing archival material in Israel and the United States, but also interviews with dozens of Israeli generals, intelligence officials, political figures, and analysts; it is drawn from first-person accounts, memoirs, and contemporaneous press accounts. I employed two Israeli research assistants, both of whom served in the Israeli Defense Forces, to translate material from Hebrew where it was not available in English; I asked prominent Israelis, including a former Mossad chief and the head of the Moshe Sharett archive, to read my manuscript, and they contributed useful criticism. No less an Israeli historian than Martin van Creveld praised the work in advance. I state these facts because Mr. Morris does not. He seeks at the outset of his review to portray me as a rube from Texas, untutored in Hebrew or Arabic, who never ventured beyond the LBJ Library in Austin to research this book. How appalling it must seem to the readers of the Jewish Review of Books to see such a prominent attack on a book dismissed by Mr. Morris as a frivolous scribble from the chattering class. In point of fact, I have lived and traveled more extensively in the Middle East than Mr. Morris has, but would be the first to admit that this has little to do with good scholarship. Mr. Morris distorts the scope of archival material available to researchers on the Arab-Israeli conflict. He points with pride to the fact that Israel has declassified a great deal of material and that the Arabs have opened almost nothing. But surely he is aware that the archives of Britain and the United States are probably the greatest sources of information on the Arab-Israeli conflict. As Mr. Morris presumably knows, these archives are rendered in English. Most egregiously, Mr. Morris maligns me personally by comparing my work to “the spate of books and articles that appeared in Western Europe in 1936 through 1938 repudiating the legitimacy of the newly formed Czechoslovakia before its sacrifice to the Nazi wolves.” He has never met me, yet he concludes that my personal motive was to blacken the image of Israel. It is one thing to offer a critical review of another’s work of history, but to resort to such calumny simply undermines the integrity of the reviewer. Mr. Morris begins his review with a personal anecdote about his refusal to report for duty in the Israeli army in 1988, an act of conscience against what he considered an “oppressive” occupation of Palestinian lands that cost him a three-week stay in jail. He uses this anecdote to contest the metaphor that I employ in Fortress Israel to explain that in the mid-1950s, when David Ben-Gurion was redesigning the nation for a long struggle with the Arabs, he chose Sparta rather than Athens as the model for his nation-building efforts. The Israeli army would become the paramount institution of Israeli society. Citizens would be required to serve in uniform for three years at the conclusion of high school, but then remain tethered to the military in active reserve forces until the age of forty-nine. The civilian population became the army to a great extent. Mr. Morris’s point is that because he got off with a light jail term, my Sparta metaphor is defective. Sparta, he insists, would have treated his defiance more brutally. I say: Who knows? That is hardly the point. This strained logic allows Mr. Morris to avoid addressing the reality of the opening chapters of my book, focused as they are on Ben-Gurion’s monumental struggle with colleagues in 1954-1955 over the trajectory of the nation. Indeed, nowhere in his review does Mr. Morris engage the central theme of Fortress Israel: that the dominance of the military and the weakness of competing civil institutions dedicated to diplomacy and negotiation arise from the seminal clashes of the first decade, when Ben-Gurion set out to destroy his chief intellectual rival, Moshe Sharett, Israel’s foreign minister and second prime minister, over the crucial questions of war and peace. Indeed, as I point out, it is impossible to understand the modern debate in Israel over whether to engage the Arabs without going back to the first decade, when Ben-Gurion’s militancy toward the Arabs was rampant even as Sharett was pushing for peace and opening secret channels to the same Arabs. As Ben-Gurion incited his military commanders to exploit the chaos in the Arab world to dismember Lebanon, seize the West Bank from Jordan, and seek a pretext for war with Egypt, Sharett struggled to keep Ben-Gurion’s war impulse in check by successfully wielding a majority of the ruling political party’s stalwarts, including Golda Meir and Levi Eshkol against his militant plans. These are incontestable facts that have emerged with the opening of archives, but Mr. Morris does not approve of a hard, realist look at the internal Israeli power struggle, which is the subject of my book. So much of my book tracks the remarkable political alignment that Ben-Gurion achieved and enforced after it had seemed his political career had come to an end in late 1953 and how the story of modern Israel is the delamination of that alignment through the next five decades. But Mr. Morris is not interested in this evolutionary theme. His review sets up an army of straw men so he can knock them down; he seems to think that if he can find any military man who joined the peace camp, this repudiates my book. No, the fracturing of the political consensus—of Ben-Gurionism—is the subject of my book; it is the story of how military men like Yitzhak Rabin migrated from a strongly militaristic outlook to an understanding that there is no military solution to the Palestinian problem; it is the story of the arrogation of power on the political right and the collapse of the Rabin consensus for peace, which still plagues Israel, the Arabs, America, and the international community. There is almost a comic quality to how Mr. Morris attacks my theme of the paramount importance of the military and security establishment. He asserts that out of Israel’s twelve prime ministers, only three—Rabin, Ehud Barak, and Ariel Sharon—were generals. The he immediately retreats by saying that you could also count Menachem Begin and Yitzhak Shamir, since they both ran underground military organizations. (Shamir also ran Mossad operations across Europe.) He neglects to point out that Benjamin Netanyahu was an officer in the country’s most elite commando unit and that he owed his political career to the fame of his brother, Jonathan, who commanded and died a hero’s death during the 1976 Entebbe hostage rescue; he fails to mention that Ehud Olmert twice served in the military, washing out of one elite unit as a teenager and joining again in the early 1970s when he needed military credentials for his political career. Mr. Morris might have added that Ben-Gurion was the ultimate military leader; he founded the mainstream Jewish underground, transformed it into the IDF, an army that he insisted must be loyal to the Labor political federation he headed; he fired generals, planned battles in 1948, and ordered the expulsion of Palestinians by military means. Ben-Gurion’s young protégé, former Prime Minister Shimon Peres, did not serve in uniform, but he became Ben-Gurion’s deputy minister of defense, chief arms merchant, and chief military liaison for the secret atomic bomb project, the most profound military undertaking of the state. Levi Eshkol and Golda Meir may have been civilians, but both surrounded themselves with generals and intelligence chiefs, as if to reassure the country that the prime minister had the confidence of the military establishment. Mr. Morris neglects to provide any of this context. Another comical straw man is Morris’s assertion that I know nothing of the Israeli military because, it seems, that I have written “that Israel’s paratroops wear black berets,” not red ones. I have written no such thing, and in my struggle to determine what Morris was referring to, all I can find is an introduction to Prime Minister Levi Eshkol, in which I said, “In what seemed to be a stab at burnishing a military profile, he absurdly wore a black beret, a symbol of Israel’s elite commando and paratrooper forces.” It was the symbolism of the beret, not the color, but I am sure Mr. Morris got that. Morris is revisionist in trying to show I misplaced facts about the run-up to the 1967 war. First of all, he is incorrect in stating that the slide to war began with Syria’s sponsorship of Palestinian operations across Israel’s border and Syria’s water diversion efforts. The slide toward war began with the hostile Arab League declarations of January 1964, declarations that convinced General Rabin, the chief of staff, that another round of war with the Arabs was inevitable. This came at a time when it was becoming clear to the world that Israel was secretly building an atomic bomb with the help of France, while also expanding its conventional military and working assiduously in Washington to convince President Johnson to provide tanks and modern American fighters to its military, something no American president had done. Morris fails to state that when the Arab League failed to stand behind Syria when its bulldozers attempted to block Israel’s expansion of water resources, Syria pulled in its horns and stepped up support for Palestinian militants. He fails to take note of the aggressive steps Israel took in sending its troops, along with bulldozers and patrol boats, up against Syrian positions in the demilitarized zones of the northern front to provoke Syrian fire so the IDF could then attack and seize territory. Moshe Dayan, as Mr. Morris knows very well, spoke candidly of this tactic late in his life. 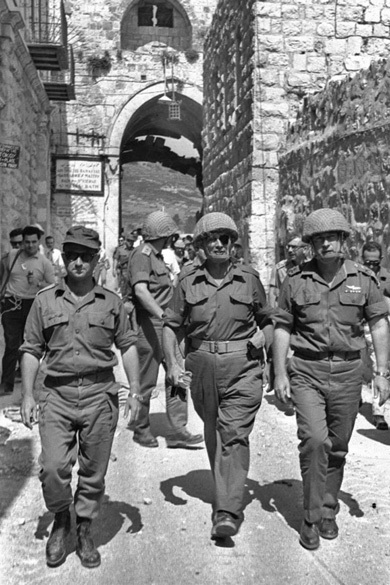 In the midst of the clashes of May 1967, the Soviets floated false reports of an Israeli military buildup on the northern border. In my book, I stated forthrightly that the Soviet reports were “mostly” disinformation; the qualifying adverb “mostly” only added the nuance that the IDF was on a high state of alert and that both Eshkol and his director of military intelligence had been making bellicose and escalatory threats, so much so that President Johnson admonished them to tone it down. Mr. Morris says, inaccurately, that because I provided this nuanced account of the run-up to the war, that I have “by implication’’ asserted that Israel was planning an attack. This is nonsense. Nowhere in Fortress Israel do I blame any side for the onset of war. As political biography, my book explains and examines the motivations of leaders and the context of political forces in which they were operating. Mr. Morris knows from the work of Ami Gluska and others that Prime Minister Eshkol faced a revolt of his generals in delaying an attack, but at the request of President Johnson, his friend, he was trying to hold back the rush to war on the hope that Johnson might succeed in organizing an international maritime force to back Nasser down. Again, at this crucial moment, Mr. Morris fails to point out that the main theme of my book was Eshkol’s attempt to lead the country through these perilous times as Ben-Gurion and Peres were attacking him from the sidelines for taking unacceptable risks with the security of the nation and while Dayan, Begin, and the Mossad chief, Meir Amit, worked behind the scenes to force Eshkol into the war camp. It is interesting that Morris does not review my narrative of Eshkol’s dilemma and the political realism of the war’s onset. In this and other instances, he avoids substance and lapses into ideological or ad hominem attack. Is this the modus operandi of a historian? As the master of quibble, Mr. Morris takes aim at my observation that the stunning military victory of 1967 transformed national politics with dreams of a much expanded Jewish state. “It seemed that with few exceptions, everyone in Israel had embraced a creed that envisioned a Greater Israel, from the Mediterranean to the Jordan,” I wrote, and then went on to explain how broad divisions still existed in Israeli society. Mr. Morris says that what I wrote was “blatantly untrue,” but when he explains what he means by this accusation, he admits that, “It is true that a semi-messianic euphoria took hold, but post-1967 Israel was nonetheless a deeply divided society and remains so down to the present.” With these words, Mr. Morris accurately described my book. So what was “blatantly untrue”? One need only read the words of Yitzhak Rabin, who at the time was ambassador to Washington, to see how the military establishment was bent on taking the war to Egypt’s cities in a campaign of terror that might topple Nasser. Mr. Morris claims that, during the bombing, life in Egypt went on as normal. This is absurd, as anyone who visited Cairo at the time and saw Israeli Phantoms flying down the Nile to frighten and intimidate the population would testify. In one raid on an Egyptian army training camp, the detonations blew out the windows of the Cairo American School. Hardly business as usual. Most of the bombing raids were within twenty-five miles of Cairo. During the War of Attrition, the Israeli Air Force lost a number of aircraft and some of its pilots were captured due to the arrival of highly competent Soviet air defense forces, including both MiG-21 pilots and sophisticated SAM3 missile batteries. This confrontation with the arriving Soviet military force ultimately led to Israel’s decision to suspend its air war. I point out in Fortress Israel that Soviet forces shot down a half-dozen Israeli Phantoms. Mr. Morris responds, “This never happened.” Notwithstanding that my information came from declassified U.S. intelligence reports, today you can find confirmation of downed Israeli Phantoms and captured pilots on Wikipedia. Abba Eban writes of his concerns about Israeli air losses in 1970, and the senior American diplomat in Cairo has written that he was apprised by the State Department that Henry Kissinger, then secretary of state, had reassured Israel that despite the suspension of Phantom sales, Washington would quietly replace the mounting Israeli losses with up to eight Phantoms and twenty Skyhawks. I can only assume that Mr. Morris is confused. It is true that on the last day of the air war, Israeli planes staged an ambush on Soviet fighters, but it was only after Israel had lost a number of its own planes. This is an established fact. A careful reviewer would have checked. Mr. Morris claims I engaged in hyperbole in stating that Ariel Sharon ordered the “saturation” bombing of Beirut during the ill-advised and ill-fated Lebanon invasion of 1982. Mr. Morris says that because only six hundred people died that day (in a city from which many had fled), and because not all neighborhoods were targeted, the term “saturation” amounts to “agitprop, not history.” He argues that the Allied bombing of Dresden in World War II was “real” saturation bombing because more than twenty thousand people died. Yet in Dresden on Feb. 13-15, 1945, the Allies dropped thirty-nine hundred tons of bombs, less than the typical tonnages that Israel was employing a half-century later. The IAF dropped eight thousand tons of bombs in its campaign against Egyptian cities. And though the IAF has not published tonnages (of iron bombs and artillery) thrown against Beirut in August 1982, Mr. Morris would be loathe to place a wager on which total was greater. The word “saturation” seems more than valid when one views the impact of the hundreds of sorties the IAF flew against the Lebanese capital, synchronized with artillery barrages and shelling from ships offshore. Mr. Morris himself, in his own history, describes the air campaign as “brutal.” He added, “Begin, with his view of [Yasser] Arafat as a resurrected Hitler and Beirut as Nazi Berlin in 1945, seemed to feel that the city deserved its fate.” No less an Israeli historian as Avi Shlaim of Oxford University has written that Sharon ordered a “saturation” bombing of Beirut on August 10. Hardly “agitprop,” and certainly a valid description of historical fact. Most of the rest of Mr. Morris’s review is in a similar vein of slapdash assertions and straw men erected dishonestly so they can be slapped down. He takes my political biography and argues that because I didn’t include this or that bit of history, the book is anti-Zionist in the zero-sum world Mr. Morris now inhabits. And yet my book was never meant as an overarching history of Israel, but rather a portrait of the leadership class. He suggests that the missing bits add up to a conspiracy to slant history in favor of the Arabs. This is false, and there are a hundreds of examples to prove otherwise. There is no sympathetic Arab history lurking in my book; there is only a search for understanding about the character and nature of the Israeli leadership class, its development, evolution, and its difficulty in engaging in the processes of diplomacy due to the outsized influence of the military, a theme that has been extensively identified as relevant and legitimate in the historiography of Israel. Treasure and tragedy in the letters of Stefan and Lotte Zweig, one of the most famous literary couples of the early 20th century. 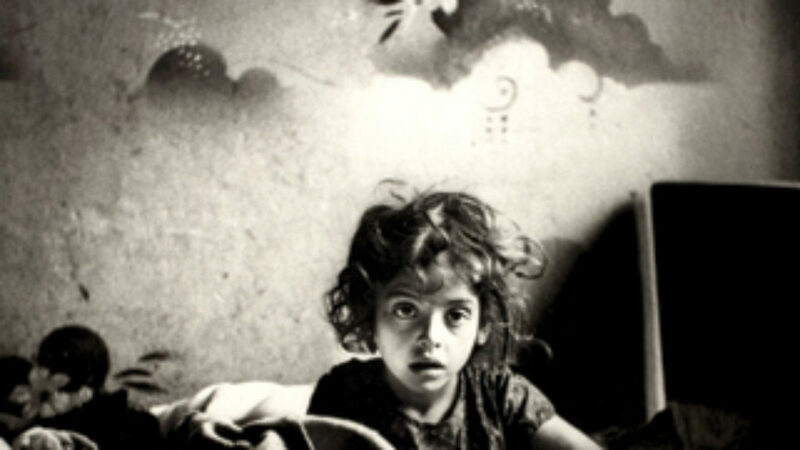 A new exhibit explores the vanished world and unseen photographs of Roman Vishniac.